Truth by Kbaig: Reciprocal Response to USA from Pakistan! Reciprocal Response to USA from Pakistan! 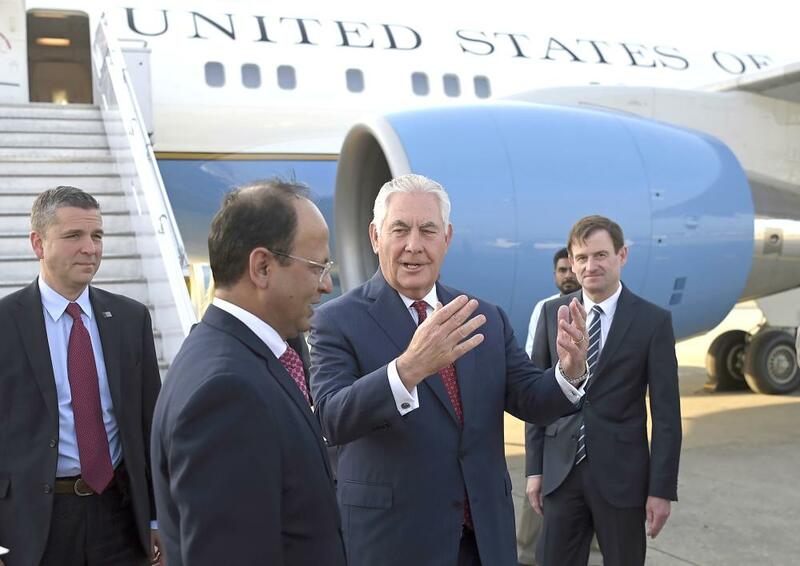 US Secretary of State Rex Tillerson got a frosty welcome to Pakistan after Washington turned up the heat on Islamabad for allegedly providing safe havens for Taliban militants. 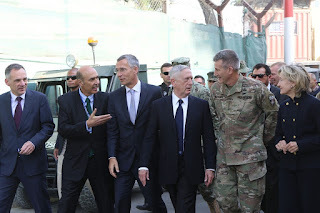 After the attack on Afghanistan in 2001, Americans spent trillions of dollars and may have procured few economical interests but militarily Americans have only earned shame and defeat. However, this reality is undeniable that by attacking Afghanistan, the world forgot about the Palestine and atrocities committed by Israeli forces against Palestinians. Freedom Movement of Kashmiris was termed as terrorism for American interests. In the meanwhile, powerful countries like Iraq and Libya were destroyed while other Arab states were destabilized so they forgot about Palestinians and had to concern about their integrity. Now they are unable to think about the murders of innocent Palestinian children, bombardment on hospitals, schools, and public places. Similarly, in South Asia under the name war against terrorism, the attack on Afghanistan the peace of the whole region was compromised. The basic goal of this war on terror was to execute plans against China. But Pakistan had to face the result of these American interests in the form of worst terrorism. If we look at the past, the suicide bomb blasts and terrorist attacks and deaths of innocents seems like terror dream. Attacks on military installations as well as in the markets, courts, places of worship, hospitals, parks etc killing innocent children, women, elderly. Just because Indians needed India against China and India wanted sacrifice of Pakistan for her services to the USA. Pakistan army started operation against these Indian sponsored terrorists despite financial losses and losses of life, secret hideouts of terrorists were destroyed. In these narrow mountains wherein the history no army has ever succeeded against militants, Pak army neutralized all the Indian militants hiding in these narrow mountains. These militants were trained by America and India in Afghanistan for waging terrorist war against Pakistan. This is the success of Pakistan against terrorists which has forced big power like USA to forget all the diplomatic values and started threatening Pakistan. American demand “Do More” has become a joke. On 24 October 2017, when American Foreign Minister arrived Pakistan from Kabul for few hours visit there was no higher officer present to welcome him. 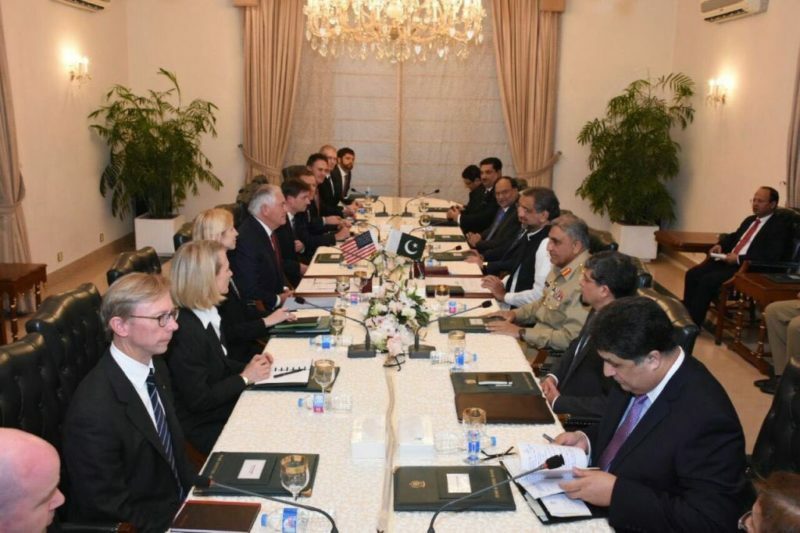 Pakistani Prime Minister, Army Chief and others left the tradition of meeting with American delegations separately and held a joint meeting and the stance of “No More” was repeated. 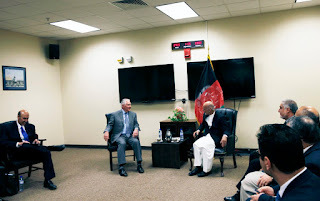 While meeting with Afghan President Ashraf Ghani, the statements of American Foreing Minister against Pakistan were replied by the cold welcome of Pakistan on the airport. In the meanwhile, American media reported two separate pictures of meeting between American Foreign Minister and Ashraf Ghani raising questions over the status of sovereign govt. of Afghanistan. One picture was issued by American Army in which the digital wall clock in a room of Bigram airbase was clearly visible. While int the picture shared by Afghan govt. the wall clock was removed by editing in order to show that meeting was held in the President house of Kabul. Photo issued by Afghan Govt. The digital wall clock and red fire alarm appear to have been morphed out. Critics are of the view that reason behind this picture editing is the rocket attack over General (retired) James Mates as soon as he arrived the airbase has made Americans afraid. The visit of General mates was kept secret but the leakage of the reports of the visit of General Mates has not been resolved. This means that Afghan Taliban have influence in the national institutions of Afghanistan while American and Western Media are of the view that Taliban control 50% area of Afghanistan. 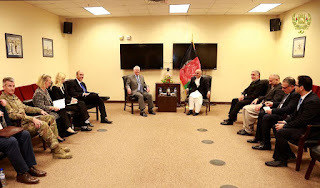 Here is another important question that if American Foreign Minister has already met with Afghan President on the Bigram airbase than why the Afghan President needed to visit New Delhi without any schedule? American Foreign Minister arrived New Delhi after his few hours visit to Pakistan. When American Minister, Indian Prime Minister and Afghan President met, why this meeting was kept secret from media and camera. If the similar strategy has been adopted at the time of meeting at Bigram airbase than the world would not have enjoyed the joke of fake pictures, respect of Afghan President would have been saved. But there are only concerned about pressurizing Pakistan for their interests and stop increasing military and economic powers of China. American business community is concerned over the reports that within few months China is going to launch its own currency against Dollar. That is why American Foreign Minister had to visit New Delhi and encourage India. It is reported that during the meeting China was discussed. That is why American Foreign Minister gave the statement that America is going to make India Leader of the region. He termed India as a natural ally. How she can be the leader of the region? India is also aware of her situation that not only she is facing rapidly decreasing economy internally but unable to face the freedom movement growing powerful day by day. America should be aware that why India rejected American demand to send her troops to Afghanistan? If America is considering that in the name of restoration of peace in Afghanistan, America would wage terrorism in Pakistan through her secret agencies or agents within Pakistan, then America should come out of daydreaming. The No More to US Foreign Minister has also a message for India as well that enough is enough. Pakistani nation is united and standing by its army. 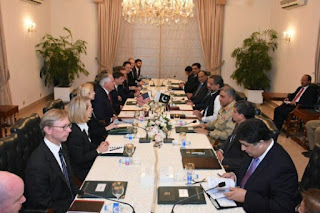 It is hoped that Americans would have told India about the discussions in the meeting in Pakistan. 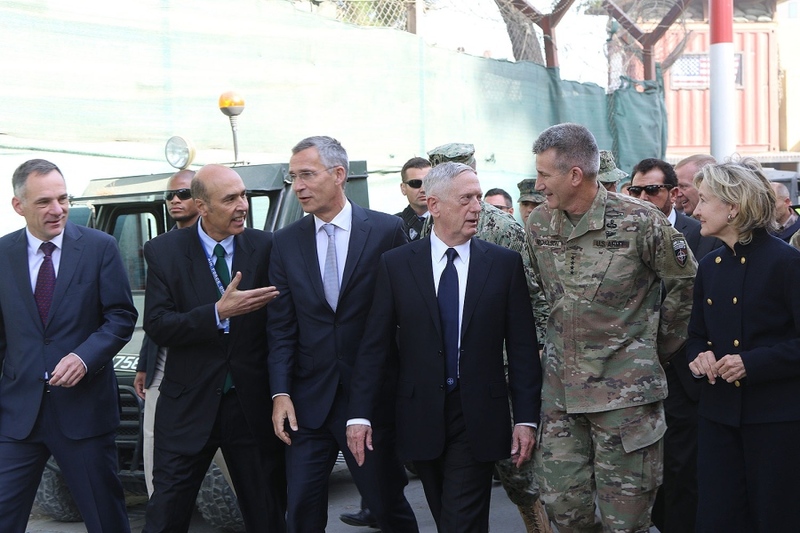 Missiles hit the Hamid Karzai International Airport hours after Mattis and Jens Stoltenberg, the NATO secretary-general, arrived in Kabul.